Welcome to the Strawberry Ink Studio website! Strawberry Ink Studio will be at the Toronto FanExpo this year as well! Our focus will be on commission sketches for this year. Hope to see you guys there! CONGRATS TO OUR RAFFLE WINNER JOLIE S.! We await your reply email and descorption of the commission you would like from us! Also, check out T.K. 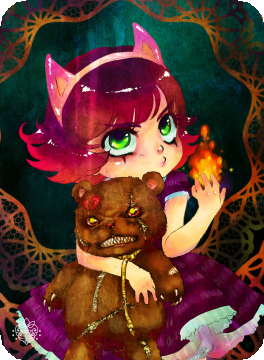 's Annie and Tibbers being displayed in the recent League of Legends Summoner's Showcase: http://www.youtube.com/watch?v=ke4pGc-vrFs !